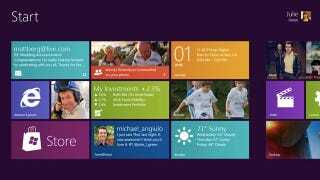 "Windows 8 reimagines Windows. That's a big statement and one that we will return to throughout this blog. It is also important to know that we're 100% committed to running the software and supporting the hardware that is compatible with over 400 million Windows 7 licenses already sold and all the Windows 7 yet to be sold."